The new Ranger Tugs R23 is a much-anticipated addition to our award-winning lineup of Ranger Tugs. Powered by a standard 200HP Yamaha outboard or optional 170HP Volvo diesel inboard with Duoprop sterndrive, the R23 bridges the gap between our popular R-21 EC and R-25 SC models. The first thing you will notice when looking at the new R23 is the dramatic, curved windshield and visor, which is emphasized by the curved overhead skylight. There is no shortage of light or visibility in the R23 which also has several opening roof hatches, sliding side windows, and an opening bulkhead hatch which gives a very open and airy feeling inside and out. Opening portlights also allow for a nice cross breeze in the cabin. You'll find that the forward cabin on the R23 has plenty of room for sitting around the teak table, sleeping two separately, or sleeping two together with the filler-cushion. The mid berth is great for kids, adults, or storage. The dinette converts to a sleeper as the third berth. The well-appointed galley on the R23 is standard with refrigerator/freezer, cooktop, and microwave. The forward enclosed head includes a shower, sink, and mirror which makes for a great overnighter! The Ranger Tugs R23 is standard with Garmin 7610 GPS with Depth Sounder/Fish Finder and optional HDX radar. VHF to stay in touch, illuminated compass, cabin nightlight, LED navigation lights, cockpit and exterior side trail lighting, and our patented, built-in safety trailering lights (brake, turn, and reverse). The cockpit on the R23 is built to fish and ready entertain with rod holders, optional downrigger pads/plates/outlets, a folding double seat, and teak table. 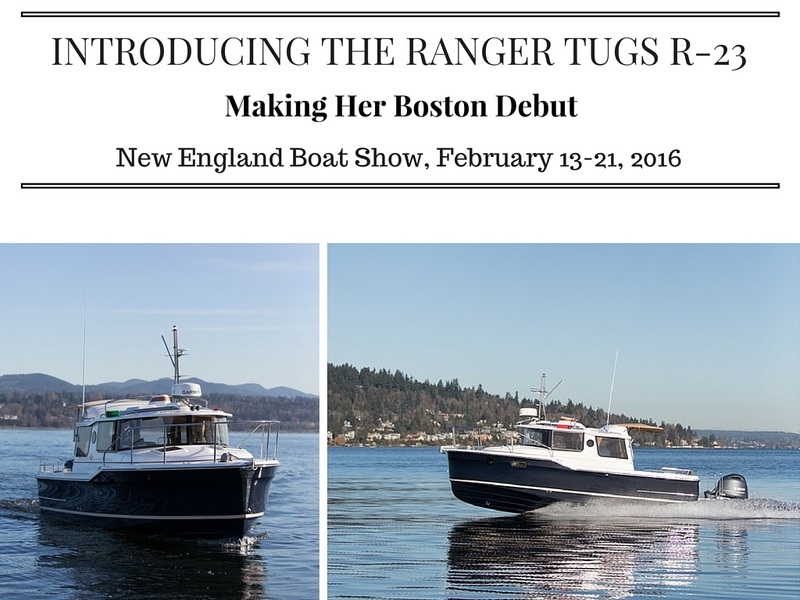 The Ranger Tugs R23 was designed and built by hand in the USA to offer the best in value, performance, and FUN! 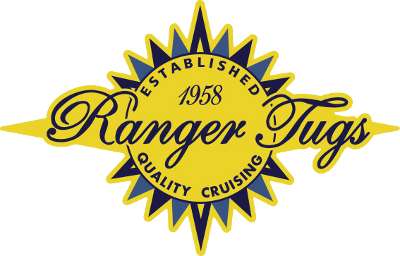 Whether your cruising, fishing, or just relaxing onboard, you will appreciate the comfort, safety, and community that Ranger Tugs has become known for.